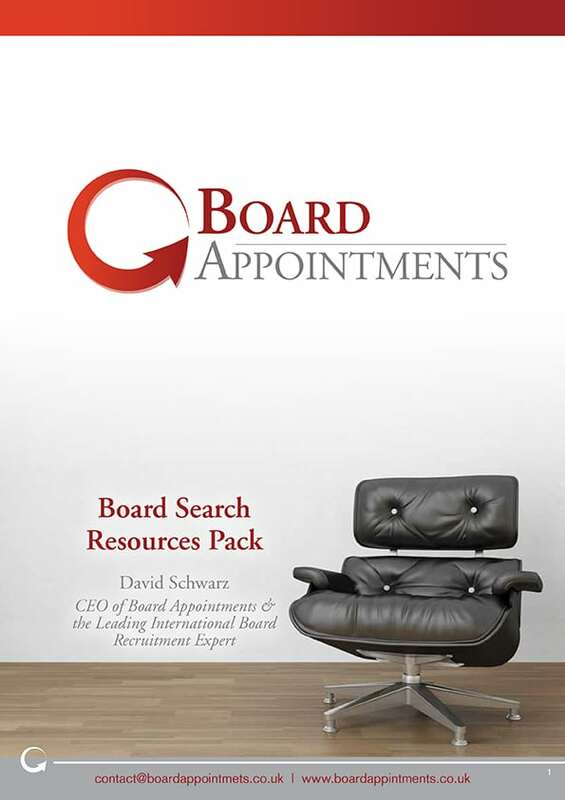 The most COMPREHENSIVE and DIVERSE list of non executive & independent BOARD VACANCIES in the UK. Memberships include: exclusive access to Board Vacancies, bespoke Board CVs, online resources & comprehensive online course. With more than 15 year's board recruitment experience, David will share with you information that only chairs and recruiters know! This FREE WEBINAR runs every Wednesday @12:15pm! Book your place today! Learn how to Find Board Roles & Get Appointed with our ONLINE 10 unit BOARD SEARCH COURSE! Allows you to study at your own pace. Dare them not to appoint you with a BOARD READY CV & LinkedIn Profile plus professionally written BOARD APPLICATION & supporting documents! Not convinced? Read what our members and customers have to say about our memberships, personalised services, courses and advice.